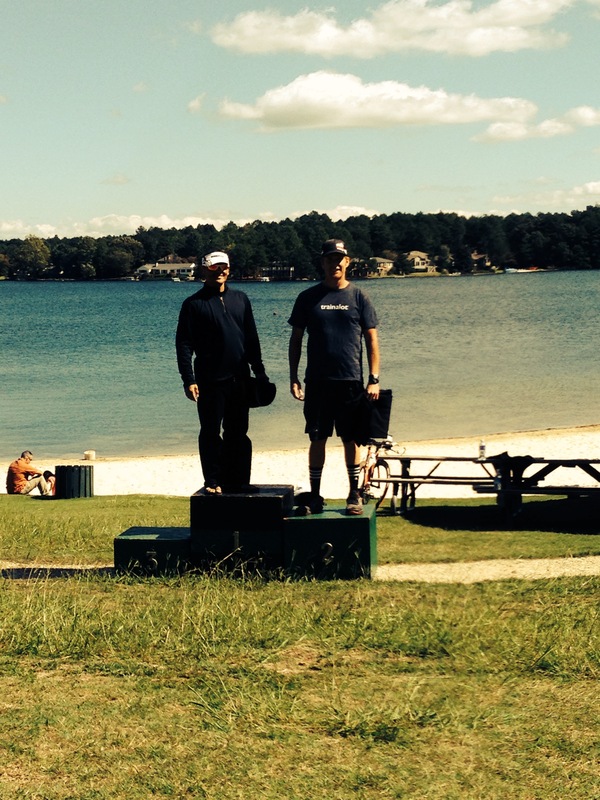 To race or not to race…thats what I was thinking watching the weather leading up to Pinehurst Triathlon. Well, with the weather looking good and the registration deadline looming, I decided to race. I heard this was a tough course with a longer bike and also both the bike and run were hilly but this was something I was used to with Xterra. The morning of the race I arrived at transition, setup and went for a short run before getting in the water for a warmup. My start wave was called, I lined up on the beach, the gun sounded and we were off. Other than being the longest race swim this year, the swim was really uneventful by design. I decided to take it easy seeing it was longer and the bike/run course was going to be tough. I came out of the water, had a quick transition and was on the bike. The wind would come into effect with the bike. It didn’t matter which way we turned there seemed to be a head wind. I was going along well with a borrowed rear disc wheel thanks to Travis at LiveItXtreme and I was passing quite a few people without any issue until the bottle handoff. I dropped the bottle at handoff…so I would not have any replenishment and would now be rationing my Trifuel for the remainder of the bike. After dropping a competitor that I had exchanged positions with for most of the second part of the bike, I came into transition and was quick onto the run. This is when it gets interesting. I began passing people on this very hilly run course. When I reached mile 2 I passed someone in my age group, he told me he was in 3rd and 2nd place was within site. I thought great and would be on my way to catch 2nd just ahead…well that’s not how it happened. He decided to run with me and as we battled, we caught 2nd together at mile 3. Well he now decided to join the party and we exchanged positions through the hills of the second half of the run. Each of us launching attacks which the others would cover including my own at mile 4. We were running a tough pace given the elevation and as we passed the mile 5 aid station I thought it might come down to a sprint at the finish with 2 of us being on the podium and 1 would not. But as we got to about .5 mile to go we reached what I thought was the last hill. As we traversed it, I noticed the other two guys dropping slightly, I thought this might be a good time to attack, and that’s exactly what I did, pulling out a small but significant gap. But to my surprise there was one more hill…with nothing really left in the tank I pushed as hard as possible. My legs were screaming, two short straights left, my mind telling me to stop but I willed myself on thinking that I could fall down at the finish after giving everything. When I rounded the last corner and saw the finish I took a quick look behind and saw that I had opened up fairly large gap. I ran into the finish placing 2nd AG and 13th overall. Not a bad way to finish off the season.